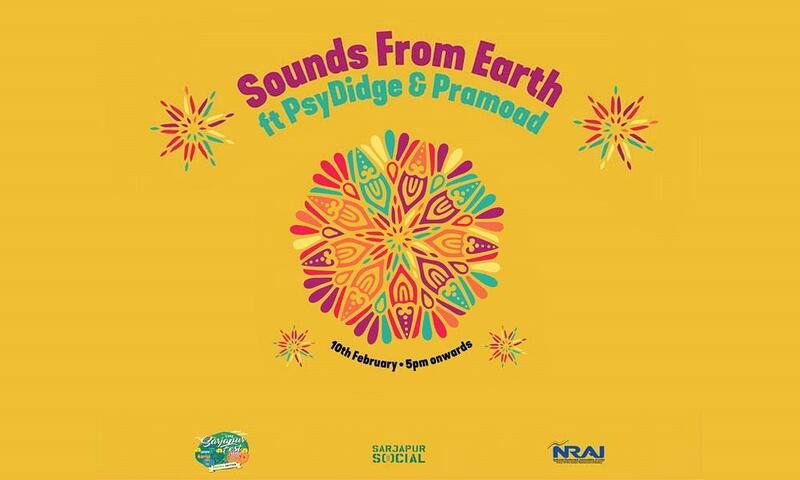 Listen to the Sounds From Earth as Sarjapur Social takes you on an astral experience with Psy Didge and Pramod on Sunday,10th of February 2019, 6:00 PM. The Hang is a musical instrument in the idiophone class created by Felix Rohner and Sabina Scharer in Bern, Switzerland. The Hang is sometimes referred to as a hang drum. On Sunday, the 10th of February, Sarjapur Social are putting together an astral experience at Sarjapur Social featuring Pramod Venkat on the Hang and Psy Didge on the Didgeridoo, as a part of the NRAI- National Restaurant Association of India led initiative Sarjapur Fest - Organic Edition. Sarjapur Fest is a collective initiative of F&B brands in Sarjapur, along with NRAI. The event celebrates its glorious history, journey & neighbourhood. In the very first edition, the fest goes #organic and revels in the evolved relevance of lost recipes and art forms. Workshops, organic recipe curation, discussion forums, performance arts... There's a lot happening at Sarjapur this week.